Liverpool are weighing up a move for Sweden and Red Bull Leipzig winger Emil Forsberg with a view to signing him in the summer, according to the Daily Mail. Furthermore, the TuttoMercatoWeb, is reporting that the Reds are facing competition from Napoli and Roma for the signature of Lorient left-back Raphael Guerreiro's signature. Meanwhile, L'Equipe are reporting that Liverpool want to sign 19-year-old winger Andrija Zivkovic, who has scored 12 league goals for Partizan Belgrade this season. 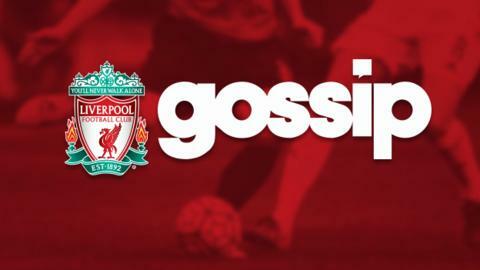 And a former Liverpool and Arsenal winger is on the verge of signing for a club in Singapore. Jermaine Pennant, 32, who played for the Reds in the 2007 Champions League final, has been on trial at Tampines Rovers and has revealed to ESPN FC he is close to agreeing a deal. Sky Sports reports a deal has been done to make Pennant the highest paid player in the history of Singapore football.